In order to successfully carry out our projects in Galapagos, we work closely with partner organisations and conservation experts based in the region. 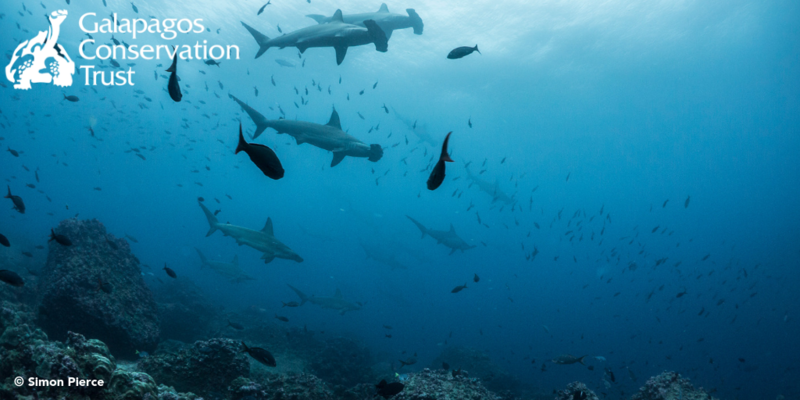 Recently, we have been working with scientist and BioBank Manager of the Galapagos Science Center, Diana Pazmiño, on our Sharks Science Programme, which aims to protect sharks from overfishing in the waters surrounding Galapagos. While much needs to be done in the short-term to address the adverse effects of commercial fishing in the region, it is also necessary to promote awareness of these issues amongst younger generations to ensure that conservation efforts are maintained in future. We asked Diana, a local of Isabela island, a few questions about marine wildlife in Galapagos and our latest educational project, Galapagos Storybook. What is the most interesting encounter you have had with marine wildlife in Galapagos? That is a hard question. I think every snorkelling and diving trip here is very unique. 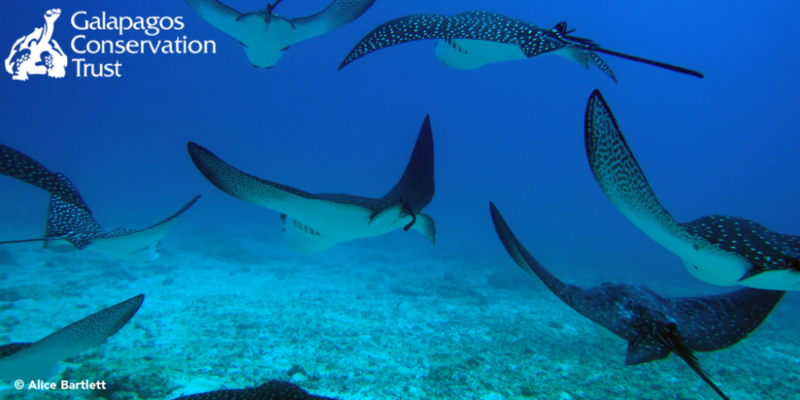 But if I had to pick one, I would say probably swimming with giant manta rays and with [spotted] eagle rays. I think these creatures are amazing, and we actually don’t know much about them here in Galapagos. I think a big misconception, not just for hammerheads but for sharks in general, is that they can recover very easily. We don’t understand how hard it is for them or how long it takes for sharks to grow and reproduce. If we stopped putting pressure on them right now, it may still take them decades to recover. How have conservation efforts to date positively impacted wildlife in Galapagos? Is there a particular example/species that reflects this? I can think of many examples of positive impacts that conservation efforts have had here in Galapagos. 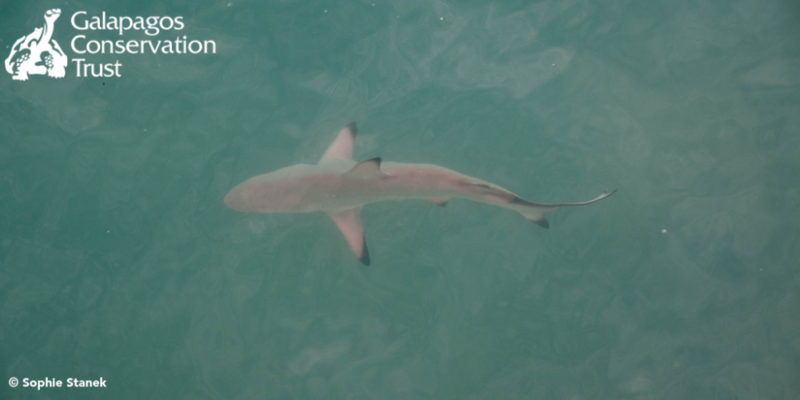 They have helped populations of some species to recover and the first example that comes to mind is blacktip sharks. If you walk along the coast of Santa Cruz or Isabela at night, you’re likely to encounter a baby blacktip shark swimming around. This is something that was not possible 15 or 20 years ago. So it’s a clear example of how the population of this species has recovered and how easy it is to find them now. I am convinced that education is a key step in conservation. 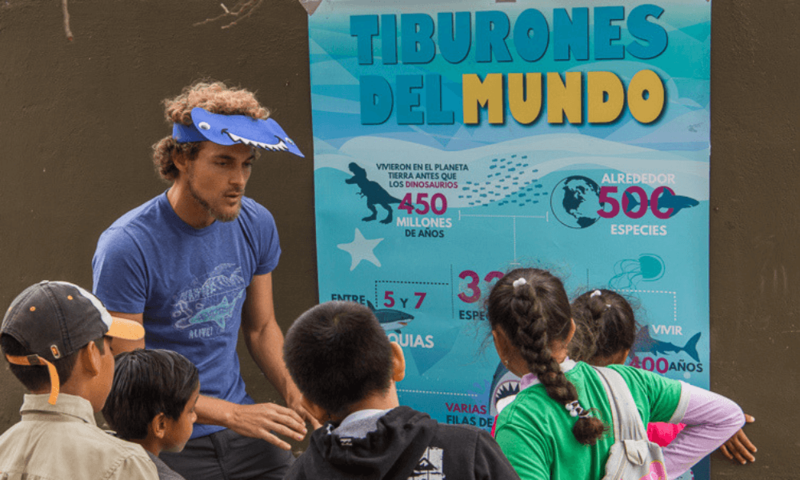 I think educating people of all ages on the importance of protected areas, especially for species that are highly migratory such as hammerheads and turtles, is essential to preserve all marine ecosystems. I think the Storybook first of all breaks down this hard-core science into a more simple language so everyone can understand what scientists are doing and why they are doing it. It also raises awareness of current challenges that marine life is facing such as overfishing. And this has enormous potential to change our mind set and encourage us to do our bit for nature. These answers underline the considerable importance of the Galapagos Storybook project. As Diana says, it is necessary to highlight the significance of marine conservation in a way that is understandable for all age groups. Furthermore, it is crucially important that we acknowledge, and attempt to clarify, any misconceptions about marine wildlife, such as the perceived lack of vulnerability of sharks. 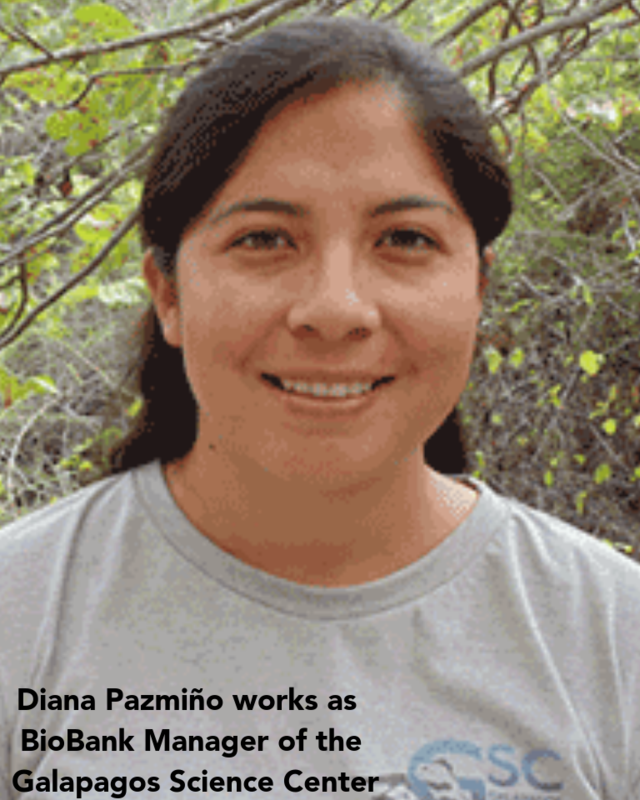 We share Diana’s belief that raising awareness of current challenges faced by marine life in the waters surrounding Galapagos has the potential to change people’s mind-set, encouraging them to actively support conservation efforts in future. 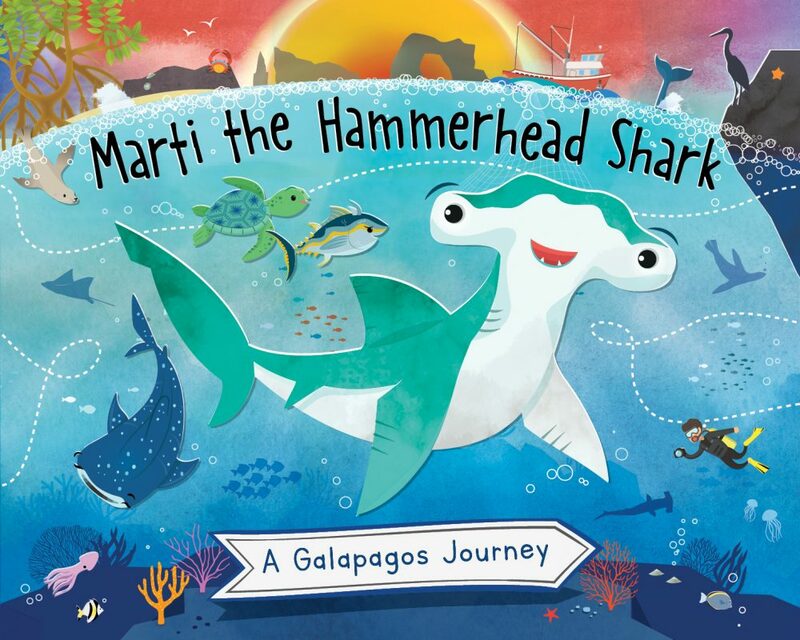 Please support the Galapagos Storybook project by donating to our Crowdfunding campaign. 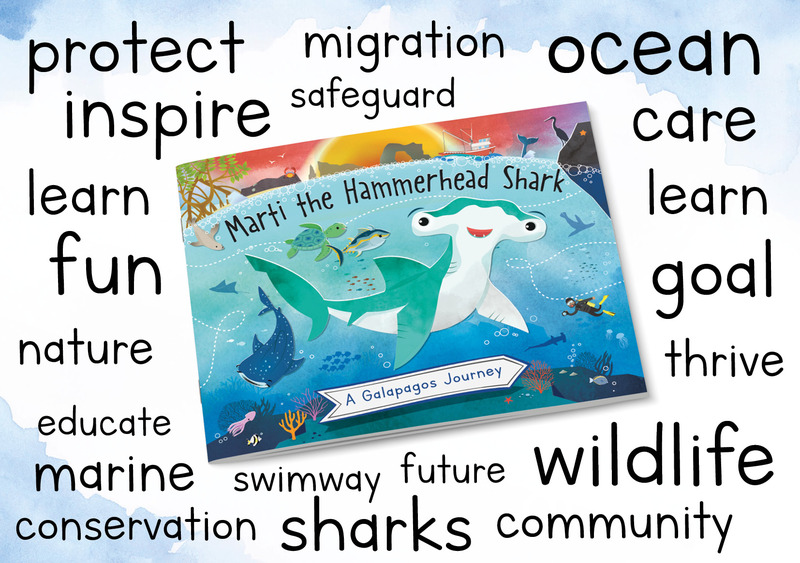 This entry was posted in News and tagged Education, hammerhead sharks, swimway. Bookmark the permalink.